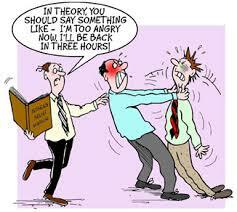 Workplace Violence research papers discuss the term that refers to any violence in a person’s occupational location. Workplace violence is a term that refers to the any violence in a person’s occupational location (the workplace), usually in the form of physical abuse or the threat of violence, which risks the health and safety of an employee or employees. Increasingly in modern America, the issue of workplace violence also involves those incidents where a disgruntled employee returns to the workplace with a firearm. According to the U.S. Bureau of Labor Statistics, some 17 percent of all occupational fatalities in 2011 can be attributed to some form of workplace violence. Women are disproportionately affected by workplace violence as compared to males, with homicides contributing to 21 percent of workplace fatalities for women, but just 9 percent for men. Most cases of workplace violence, however, are not fatal. As much as 75 percent of all incidents classified as workplace violence are simple assault, with another 19 percent classified as aggravated assault. OSHA states that as many as two million American workers are subjected to some form of workplace violence each year. Some occupations are more prone to workplace violence, including workers who exchange money with the public, those who deliver passengers, goods, or services, those work alone or in small groups late at night or in the early morning, and those who work in high-crime areas. Taxi drivers, cable TV installers, visiting nurses, and retail workers have all been identified as occupations prone to high levels of workplace violence. Paper Masters writes custom research papers on Workplace Violence and discuss the term that refers to any violence in a person’s occupational location.